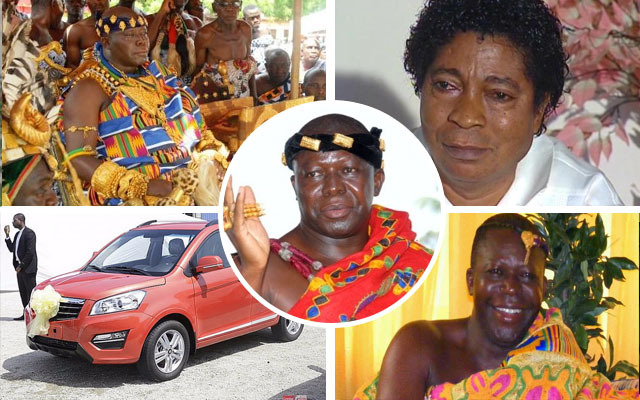 The CEO of Kantanka Group of Companies Apostle Kwadwo Safo will soon be honoured by the overlord of the Asante Kingdom for his massive contributions to national development. This was made known when a delegation from the Kantanka Group of Companies joined other dignitaries at the Manhyia palace, Sunday to commemorate the King's 67th birthday at the Manhyia Palace. Speaking at the gathering, the King called on government,as a matter of priority, to put in place measures that would enable the nation to derive maximum benefits from the technological innovations of Apostle Kwadwo Safo, the founder and leader of the Christo Asafo Mission of Ghana. The Asantehene, who had earlier taken delivery of the Kantanka vehicles, charged the soon to be honoured CEO, to reduce the unemployment rate in the country by installing similar factories across the country. The event which also marked the Akwasidae festival was heavily attended by former President John Agyekum Kufuor, government officials led by the Ashanti regional Minister, Hon Simon Osei Mensah, some members of parliament and former first lady Nana Konadu Agyeman Rawlings.